ADR Experience: Scott has served as an arbitrator in over 50 arbitrations since 1995. He has represented parties in over 200 additional arbitrations. The cases he has handled in arbitration include personal injury, auto accidents, construction, real estate, and medical malpractice. In Utah, the 321 auto arbitration is something that Scott has routinely handled. Work Experience: Scott is a trial lawyer and has tried cases in both Nevada and Utah. He is a shareholder and also serves as the Managing Director of Christensen & Jensen, P.C.,www.chrisjen.com . 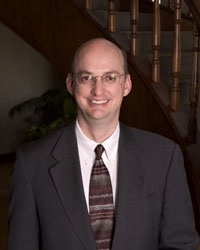 Scott’s experience in litigation includes work as counsel for both plaintiffs and defendants in many areas of the law, including insurance coverage, insurance bad faith, personal injury, wrongful death, medical malpractice, professional liability, and construction, as well as construction defect. Prior to joining Christensen & Jensen in 1999, Scott practiced law in Las Vegas as house counsel for two insurance companies and was an associate at a general practice litigation firm. He was appointed as panel arbitrator in the Court Annexed Arbitration Program in the Eighth Judicial District, Clark County, Nevada. ADR Fees: $250 per hour.